Let’s be honest, no gathering is complete without a slow cooker appetizer! 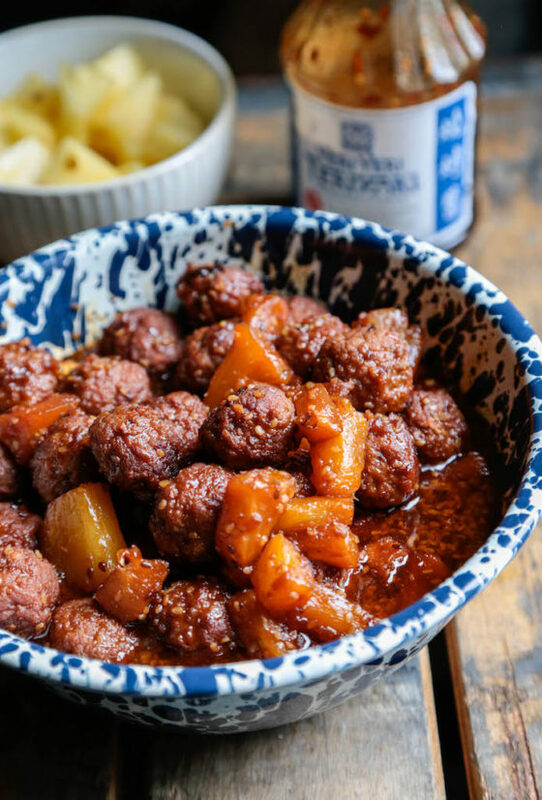 And these slow cooker teriyaki meatballs will be the new hit at the party! Only three ingredients! Well, New Girl season 4 is on Netflix, and I’m typing as fast as humanly possible to get through this post in an effort to go watch more of it. If I don’t, this will take me hourrrsss, and I’ll be five episodes deep, and it will be 1 am, and only 3 hours until I have to be up in the morning. I’m a girl who knows my own limits, except when it comes to cheese. Or chocolate. Or carbs. Or Zooey Deschanel. How is YOUR New Year’s Resolution going? Day two of Whole30 is uhhh, going? Gawd I miss carbs and cheese!!! 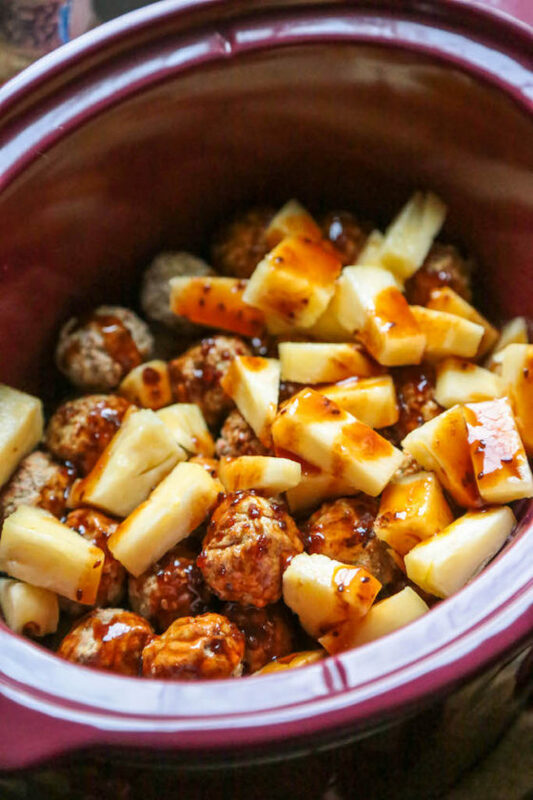 Thankfully I will be done with this challenge in time for Superbowl so I can make a whole pot of these easy crock pot teriyaki meatballs. *hands in the air! * But in the mean time I’m trying to figure out a way to stuff all the eggs and veggies in my face possible. If it weren’t for eggs, this diet would be DOA. But I do get fruit! It’s the little things, really. And pineapples are really wonderful right now, so if you can get your mitts on a fresh pineapple – do it! Whether you use it in this recipe or not. But I highly recommend you do. This handy how-to will show you how to pick the perfect pineapple, and how to cut it to maximize the fruit you get out of that beautiful beast! If anyone needs me, I’ll be dreaming about a bounty of fruit, cheese, and carbs. And a pile of meatballs set out before me. 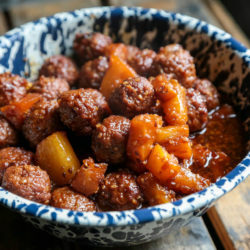 Like these meatballs? 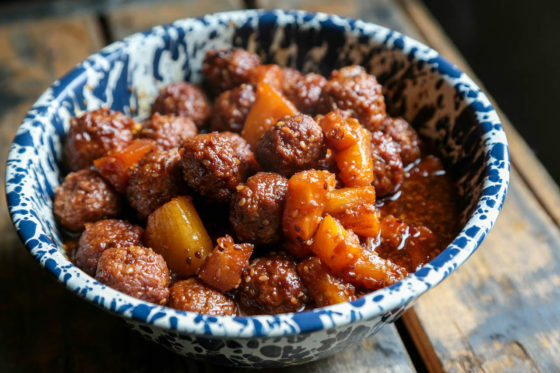 Try these Sweet and Tangy Apricot Chipotle Meatballs on for size! Cut pineapple into small tidbits, cutting the top and bottom off of the pineapple, and cutting away the exterior. Use this how-to to help choose the perfect pineapple. It includes cutting instructions. 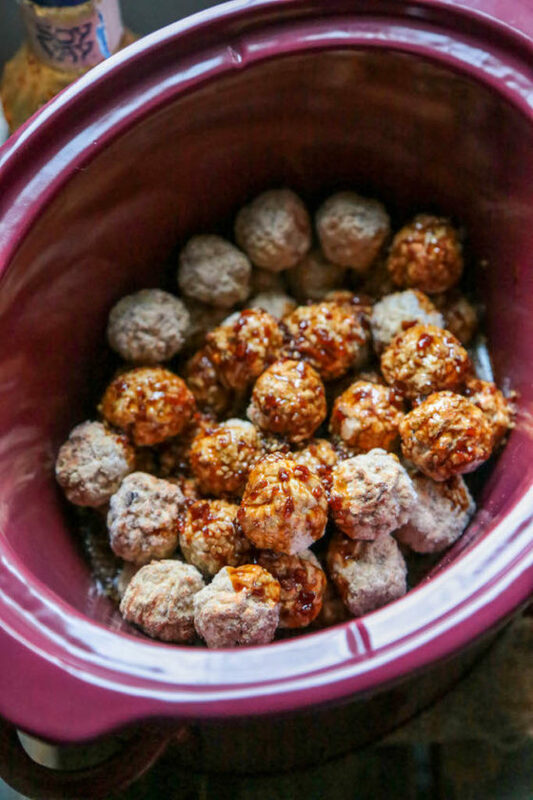 To your slow cooker, add in two packages of frozen meatballs. 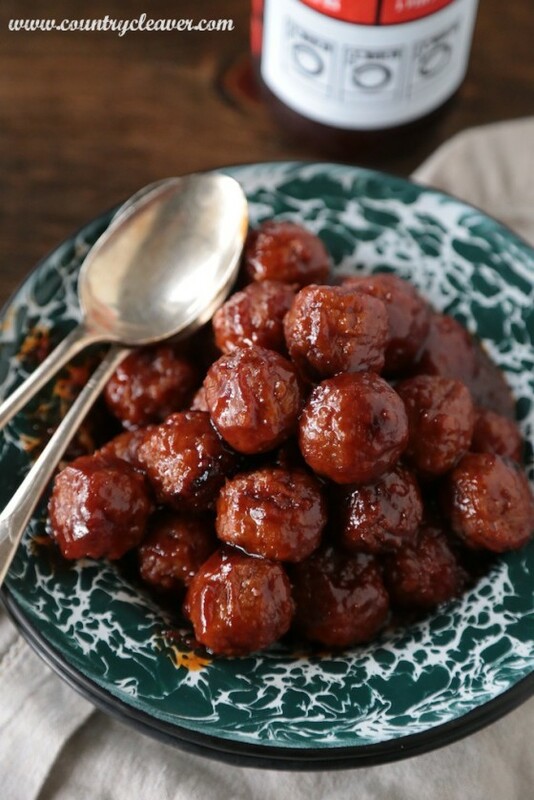 Pour teriyaki sauce over the top of the meatballs. Add in cut pineapple. Stir to combine. *Note* If you can't find a good fresh pineapple, just canned tidbits, and pour all pineapple and juice into the slow cooker. Turn slow cooker on high for 4 hours, or low for 6-8 hours. Stir often to ensure all meatballs cook evenly and get appropriately sauced. Serve hot.